← CFLs – let’s bust the myths! 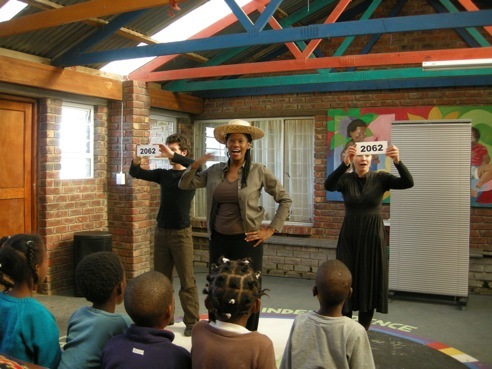 In August and September, Cosmos Productions teamed up with Project 90 to take Joyce’s Choices, a climate change themed show, on tour to schools in the Eastern and Western Cape. One of the show’s actors Fundi Zwane, is also an up and coming star of the SABC hit soapie Generations. She speaks to Cape Town Clubs coordinator Daniel Robinson about the Theatre for Change tour, fame and her views on Climate Change. DR: Tell us about your character on Generations? 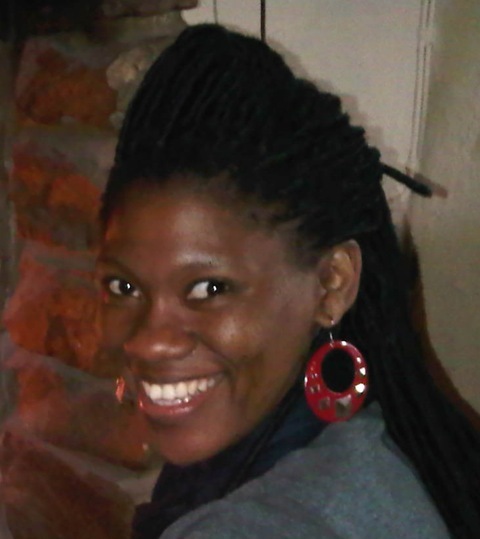 FZ: Rethabile is an outspoken young intern at New Horizons advertising agency and she was is very good at what she does. She is also very protective of her friends and has an outgoing personality. In 2010 she was heavily involved in an abuse story which has not yet been resolved fully and she made some good friends so she is coming back. DR: Do you get recognised a lot? FZ: I do get recognised, it’s something I still haven’t gotten used to because to me and the people that know me, know I’m still just normal Fundi. DR: Is this the first time you’ve worked with Cosmos Productions and Project 90? FZ: No, I have worked with Cosmos Productions in partnership with Project 90 for over 2yrs and the passion and drive on the issues surrounding climate change have impacted me not only as a person and young celebrity but also as a performer which is why I agreed to come on board for this schools tour. DR: What was your favourite moment on tour? FZ: Realising that kids actually GET IT!! They know there is a problem and they are willing to do something about it even though they feel overwhelmed by climate change. DR: Do you think your status as a ‘celebrity’ had an impact during the tour? FZ: As a young celebrity it is my deepest hope that this schools tour left a lasting impact on the young minds we came into contact with. I hope that they realised the seriousness of the issue of climate change and I hope it came through that if a young celebrity like RETHATBILE thinks that this is an important matter that indeed NOW is the time to act to try and curb this huge problem. DR: How important is Climate Change to you at this present time? FZ: I as a young South African I have come to realise how pressing the issue of climate change and global warming is. I believe that as youngsters we are in such a strategic place where we can make a huge difference in the future of our world as a whole. There is such an amazing opportunity for youngsters to INVENT!!! Especially in the fields of science, engineering and technology. This also came across strongly on the tour where kids had an amazing opportunity to “invent the world they would love to live in one day” it was thrilling to hear and see some of the amazing things that high school youngsters came up with. DR: Is the mitigation of climate change something you would like to continue to support in your future work? FZ: Without a shadow of a doubt!!! I’ve been asked to be an ambassador for agriculture in KZN which I learnt through doing the tour that it links directly with climate change. So I’m very excited to implement what I know about climate change into the agricultural sector in my beloved province. I’m already fully supporting it in my work! DR: What impacted you most since becoming climate change aware? FZ: I realised how much I still need to change the way I live and the way my family lives to contribute positively to the issue of climate change. I want to do so much more! DR: If you could send one message to all the youth of South Africa what would that be? FZ: My message to the youth would be to take action NOW!! If we unite our efforts to bring change to the state of our environment we can achieve so much!! Every little effort counts. DR: What is your view on the government building the Medupi,Coal Power Station? FZ: I believe that our government should rather spend that same amount of money installing renewable energy in South Africa as it would be a giant step in the right direction with regards to curbing carbon emissions. That’s why I decided to sign Activist’s online petition urging the government to spend R60 billion on solar water heating rather than coal. It would be my deepest wish for the government to come fully on board with renewable energy initiatives in the future. If you agree with Fundi and would like to like to sign the online petition, or you’d just like to find out more about the campaign, go to http://www.activist.co.za/solar. 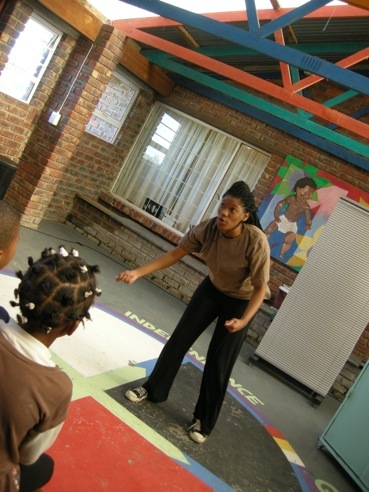 Be sure to look out for Fundi on SABC’s Generations in 2011! This entry was posted in climate change, Daniel Robinson, Project 90 and tagged Climate Champions, Cosmos Theatre Group. Bookmark the permalink. i lyk ths project so much! hw cn 1 join? hi K-mash. that’s great. 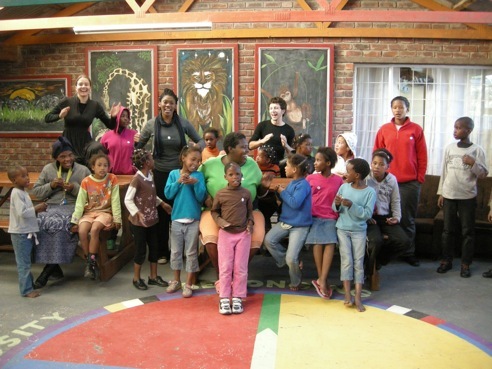 the best thing would be to visit our website http://www.90×2030.org.za and sign up to our monthly newsletter. also you can find us on facebook!